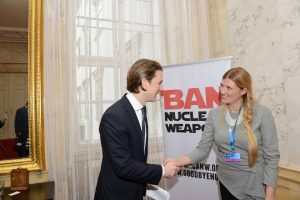 Im Rahmen der Wiener Konferenz zu den humanitären Auswirkungen von Kernwaffen übergab ICAN Executive Direktorin Beatrice Fihn einen gemeinsamen Brief von Amnesty International und ICAN an den österreichischen Außenminister Sebastian Kurz. 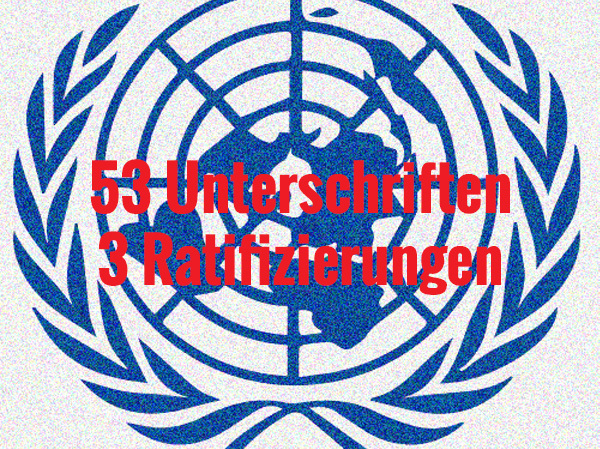 Der Brief hebt die wichtige Rolle der humanitären Initiative hervor, den Diskurs um Nuklearwaffen entscheidend verändert und die Möglichkeit der stärkeren Einbindung der Zivilgesellschaft, Internationaler Organisationen und Staaten geschaffen zu haben. 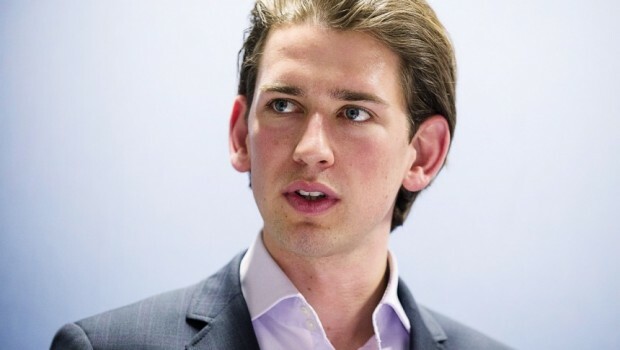 Die Diskussionen in Wien sind ein bedeutender nächster Schritt hin zur Abschaffung von Nuklearwaffen. Allein die wachsende Zahl an Staaten, die als logische Konsequenz der Evidenz-basierten Diskussionen über die humanitären Konsequenzen, einen diplomatischen Prozess hin zu einem Verbot von Nuklearwaffen sehen, ist ein starkes Zeichen dafür. Österreichs führende Rolle in diesem Prozess wurde dabei von Amnesty International und ICAN hervorgehoben. 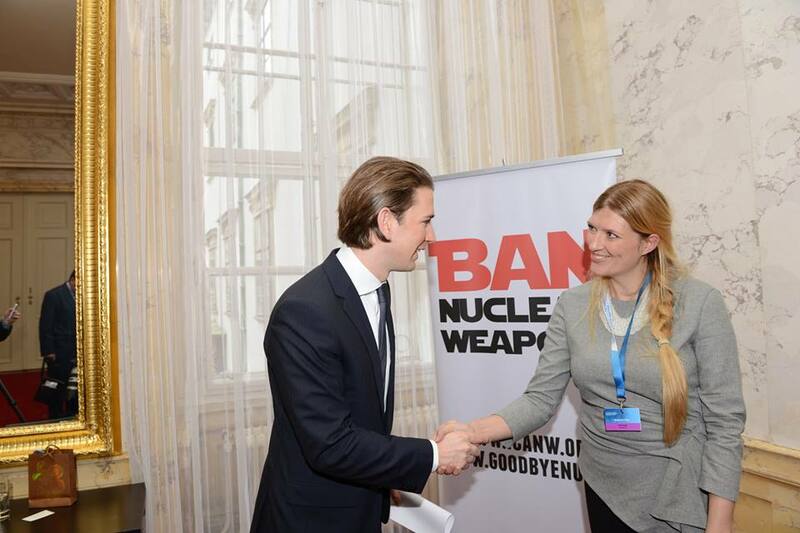 On behalf of Amnesty International and the International Campaign to Abolish Nuclear Weapons (ICAN) we write to welcome your leadership in hosting the upcoming Vienna Conference on the Humanitarian Impact of Nuclear Weapons. The discussions on the humanitarian impact of nuclear weapons, which started in Oslo, Norway, and continued in Nayarit, Mexico, have represented an important turning point in the international nuclear weapons debate. The alarming evidence presented by physicians, physicists, climate scientists, human rights organisations, humanitarian agencies, and survivors have been successful in changing the nuclear weapons discourse, and opened space for greater engagement from civil society, international organisations, and states. Amnesty International and ICAN oppose the use, possession, production and transfer of nuclear weapons, given their indiscriminate nature. We are opposed to the possession of nuclear weapons by any country, including permanent members of the UN Security Council. Nuclear weapons stand alone in terms of their extreme potential to be indiscriminate. The destructive power of nuclear weapons at the time of detonation is so great as to almost necessarily impact on civilians and soldiers alike. They affect the environment for years to come presenting a long-term hazard for civilians. The only time nuclear weapons were used in war (at Hiroshima and Nagasaki) they killed tens of thousands of civilians, and those two bombs were relatively small by today’s standards. The discussions in Vienna will open a window of opportunity for an important next step towards the elimination of nuclear weapons. It is clear to us and to a growing number of states that the logical conclusion of these evidence-based gatherings will lead to a diplomatic process to prohibit nuclear weapons. This diplomatic process should proceed with all those states ready to participate. Launching such a process will require strong leadership, and we believe Austria is well placed to take a leading role in this endeavour. As we move ahead, we believe it is important to keep in mind that prohibiting nuclear weapons is not a controversial proposal. An international prohibition on nuclear weapons, particularly given their inherently indiscriminate nature, is the only logical outcome. We have confidence that the overwhelming majority of states will join this process, and look forward to playing a supportive and constructive role.